We have covered many cool styluses here in the past. Most of those are designed for folks who do not have a disability. Unfortunately, not everyone can hold a stylus (people who have lost their hands or are suffering from paralysis). Thanks to the Griffin MouthStick Stylus, they can use their iPhone or iPad without needing a hand. 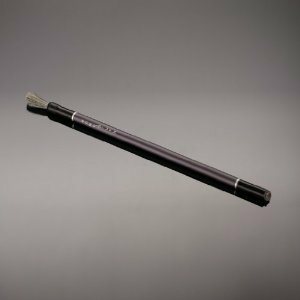 The Griffin MouthStick Stylus will enable more people to take advantage of tablets and smartphones. It makes interacting with touchscreen devices possible for handicapped people. 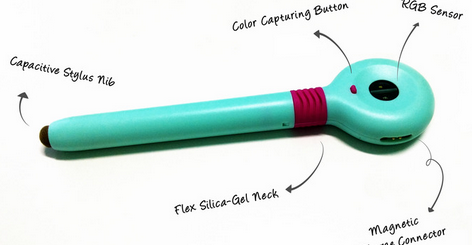 The MouthStick Stylus can be held in the mouth for long hours without causing issues. Its mouthpiece is made of food-grade stainless steel. You get BPA-free removable cushion sleeves and an adjustable aluminum gooseneck shaft too. This stylus is available for $29.99. Speaking of handy iPhone/iPad accessories, meet the PowerLoop: a cool iPhone 5 case with lanyard wrist strap for folks who need to carry their Lightning cable everywhere they go. With the PowerLoop at your disposal, you won’t have to worry about misplacing your Lightning cable. The case has a wrist lanyard with hidden cable and connectors. It could prove useful for constant travelers.